This is a residential (Class 2 | Cat 3) water loss. This loss contemplates a scenario where the door jambs were cut at 2 linear feet (along with the drywall). The remaining jambs were then detached and disposed of. Ultimately, the jamb and associated casing were replaced. 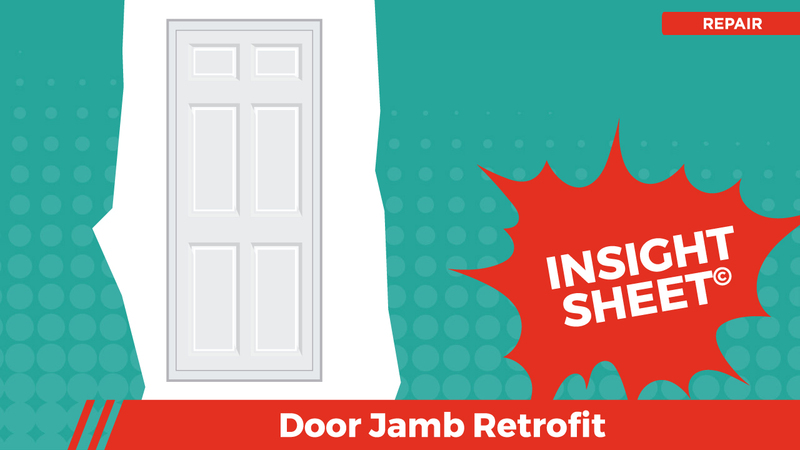 This Insight Sheet(C) exists to clarify how one might invoice a retrofit of a door jamb. This does not seek to include or make concessions for all equipment and/or activities as it relates to a loss of this nature. Missed cutting the jamb to accept hinges. This is NOT included with the jamb or with the plane and refit. @Ted: Thanks for bringing this to our attention, after looking into this we can confirm you are correct, but we don't know how to optimally address this shortage. 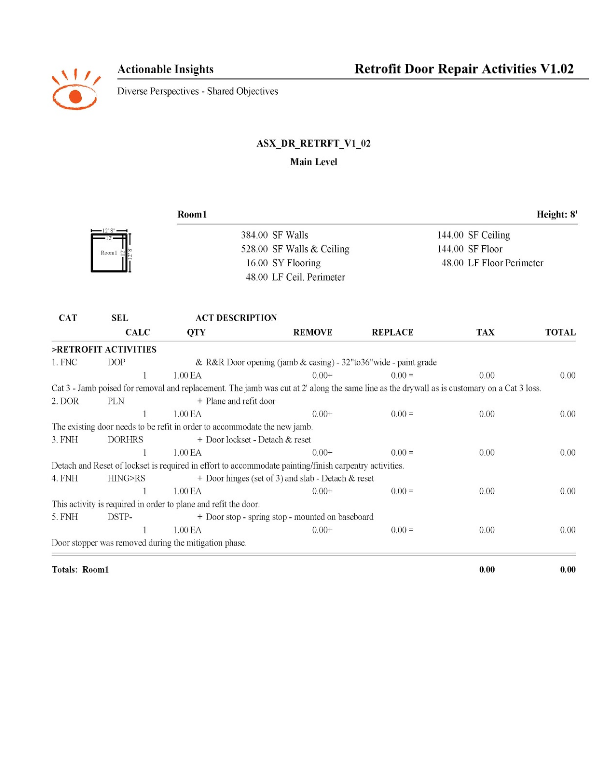 We did some additional research, and we found that the Additional Item info associated with FNHHINGE> (related line item) actually excludes Mortising the jamb for hinges but that only made things more unclear to us. Does Belfor and Actionable Insights need to join forces and create a new line item for Mortising the jamb and hinges? Would this be one add-on line item for the jamb and then another line item for the hindges? Should these activites be incorporated into the DORPLN and the direct yield be adjusted down? To many questions to sess out here - let's grant you access to the backend. @Seth: Please open up the backend for this Insight Sheet and invite Ted to be a Contributor so we can sess this out in the background. Thanks!